In the Brazilian context, we often hear academic managers say that inexperienced teachers should work with young learners because it is an easier job and they do not need so much experience, language proficiency or knowledge about the teaching and learning process. This deep-rooted paradigm has been underlying our practice for a long time. Too long, in our opinion. We believe that teaching, no matter which age group, should be deemed a serious and responsible profession. Moreover, the complexity and specialized nature of teaching young learners cannot be underestimated. One of the consequences of assuming that teaching young learners is a minor professional activity is the negative impact on the quality of education that many children might end up receiving. We understand that the first step to educational change involves acknowledging the difficulties facing teaching young learners and considering how educators (including language teachers) can be better prepared to develop. Given how world is changing at an incredibly rapid pace, being a skillful and efficient teacher of young learners requires a set of new competences and continuous learning. Thornbury (2011) maintains that “language teaching, being highly skilled, requires (or should require) extensive training.” and emphasizes how bringing into the classroom the same old beliefs you have had for a long time may not lead to better outcomes. Although keeping up with the ongoing changes while developing all the necessary competences to teach young learners might be a long uphill struggle, continuous professional development (CDP) is still the most important way to ensure effectiveness in education. CPD carried out in a responsible and robust manner, is of paramount importance to help young learner teachers become increasingly aware of how ‘absolute old beliefs’ are not an appropriate pathway to promote learning. Stepanek (2015) illustrates how the changes in the world might be impacting the role of the teacher by stating that “language learners tend to be less and less seen as mere objects of teaching. Increasingly, they become active partners in individualized and interactive learning processes. Similarly, teachers tend to be less and less seen as authoritative ‘truth-tellers’. Increasingly, they become guides, advisers and facilitators of those learning processes.”. This paradigm shift (moving from the source of knowledge to a facilitator of learning), for example, has been discussed for some time but, in our experience, is still rarely translated into actual YL ELT classroom practice. Being conscious of how important it is for a teacher to keep learning may not be enough. Developing an individual and systematized development plan to organize and prioritize steps and actions towards professional growth can also be tricky. Freeman (1989) suggests a framework for teachers’ professional development, which we find particularly helpful and eye-opening. We believe it can be used by and with young learner teachers who would like to adopt a more proactive approach to their CPD. Freeman uses the acronym KASA to explain his rationale, which stands for Knowledge, Awareness, Skills and Attitude. In the following sections, we will explore how these four pillars can shape CDP areas for YL teachers. 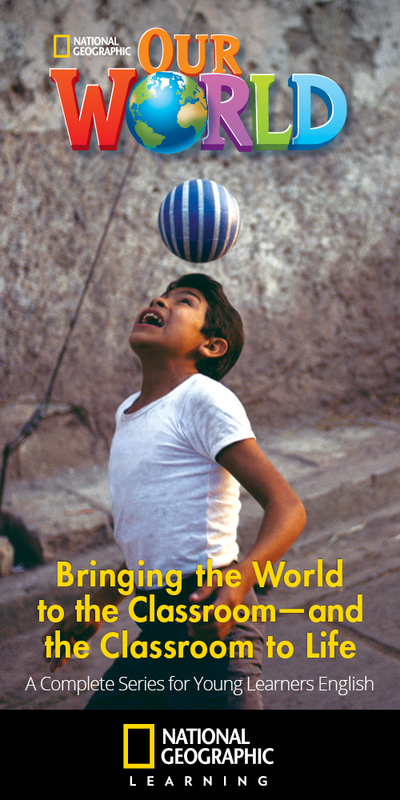 Developing knowledge goes beyond the teachers’ knowledge about class-oriented techniques or the language. Freeman explains that knowledge “includes what is being taught (the subject matter); to whom it is being taught (the students–their backgrounds, learning preferences, language levels) and where it is being taught (the sociocultural, institutional, and situational contexts).” In the context of young learners, one of the most relevant areas of knowledge to be developed relates to the specific characteristics of each age group, their affective, cognitive and physical needs, as well as their biological development and social context. There are a number of ways in which a teacher can develop this competence, including background literature, workshops, group discussions, peer observation, mentoring and taking training courses that focus on child development. We can also learn a lot by observing the children closely and talking to their parents / caregivers to glean more about who they are as individuals. Dunn, O. 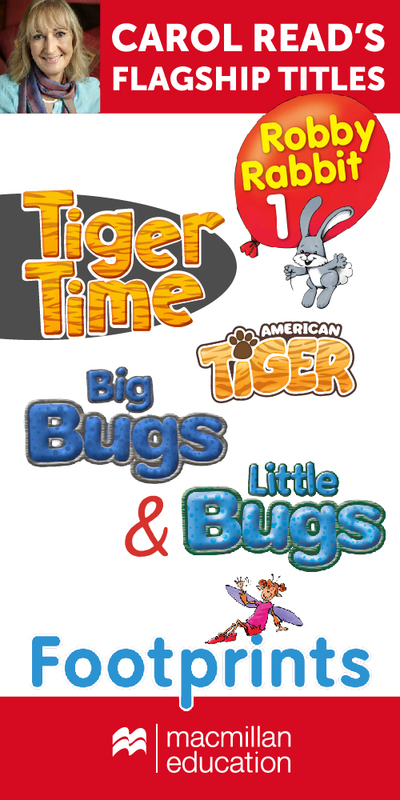 (2012) Introducing English to Young Children: Spoken Language. London: Collins. Gika, A-S. and Superfine, W. (1998), Young Learners Creating a Positive and Practical Learning Environment. Whitstable: IATEFL. Ellis, G, Brewster, J and Girard, D. (2002). 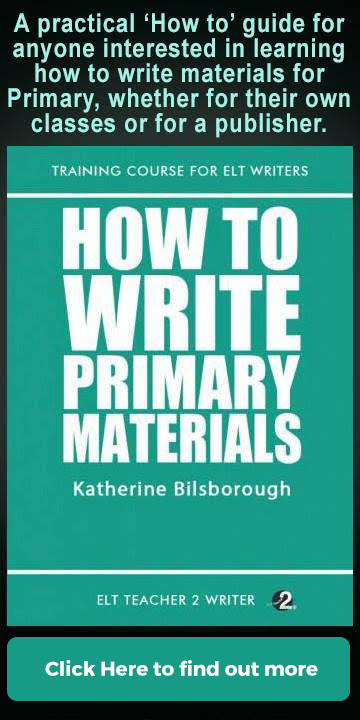 The Primary English Teacher’s Guide. Second Edition. London: Penguin English. Ellis, G. & Ibrahim, N. (2015) Teaching children how to learn. Surrey: Delta Publishing. Enever, J. (2016). Primary ELT: Issues and Trends. In Hall, G. (Ed). 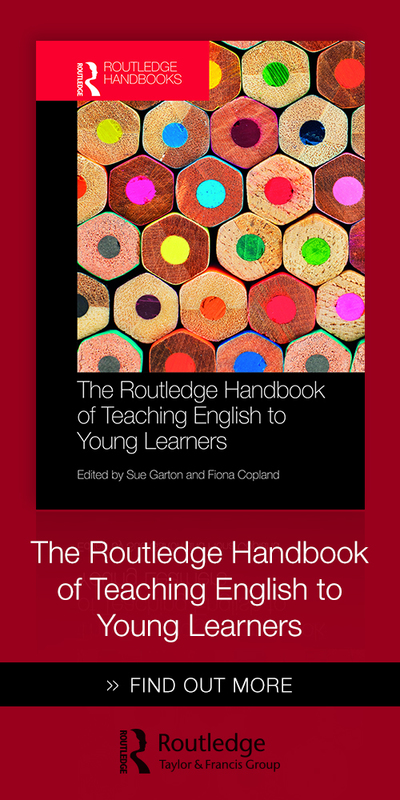 The Routledge Handbook of English Language Teaching. London: Routledge. Moon, J. 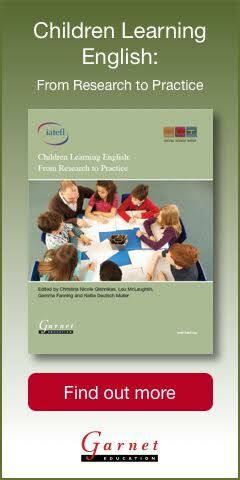 (2005) Macmillan Books for Teachers — Children Learning English Teaching Development Series. Oxford: Macmillan Education. Read, C. (2016). An ABC of Changes in Primary English Language Teaching and Learning Over the Last 30 Years. IATEFL Young Learners & Teenagers SIG Newsletter: C&TS Digital Special Pearl Anniversary Edition. pp 33-37. Available here. Pinter, A. (2017) Teaching Young Language Learners, Second Edition. Oxford: Oxford University Press. Boyd, D. (2014). It’s complicated: the secret lives of networked teens. Yale University Press. Developing awareness relates to self-reflection on how effective your practice has been in your particular context. An environment where children feel safe is likely to be more conducive to learning and creativity, so teachers need to develop an awareness of how students might be feeling about their learning experience even if they do not verbalize or express it openly. Having a well-developed sense of awareness of what is going on and how your young learners relate to each other, to your lessons, to the school and to you provides a basis for monitoring both students’ progress and your own. YL teachers also need to develop an awareness of the role of multi-literacies and trans-languaging. Chong (2018) explains how teachers need to encourage learners to use their own languages to avoid subtractive bilingualism, and highlights how strict English-only classrooms are thankfully becoming a thing of the past. For some practical strategies to use children’s mother tongues in ELT, see page 29 of ‘Teaching children how to learn’ by Ellis and Ibrahim (Delta Publishing, 2015). Developing skills is of course intertwined with developing your YL ELT subject knowledge. If you keep up-to-date with what is going on in the YL education world and put the knowledge you acquire into practice, you are highly likely to be a more skillful YL professional in the classroom. General YL teaching skills include most of the skills any teacher needs (organization, interpersonal, leadership and class management skills, to name a few). However, YL teachers also need skills to integrate content and language, to use picturebooks and the technique of storytelling in lessons, to encourage learner independence and learning to learn as well ways to help YLs develop their own socio-emotional skills. Another key skill that teachers of young learners need relates to preparing children and teenagers to use technology inside and outside the classroom. Herold (2016) maintains how today, schools must enable learners to understand how to use technology as a tool to engage in creative, productive lifelong learning rather than simply consuming passive content. You can also find a wealth of resources for storytelling in primary ELT by joining this Facebook Page dedicated to Picturebooks in Primary English Language Teaching. Developing your own attitude to YL ELT may be quite challenging but is absolutely crucial. According to Freeman (1989), “Attitude is an interplay of externally oriented behavior, actions, and perceptions, on the one hand, and internal intrapersonal dynamics, feelings, and reactions, on the other.”. Teachers’ attitudes toward both their classroom practice and their learners is a critical factor that might account in part for their successes and failures. The teacher of young learners, in our experience, needs to have an attitude that welcomes creativity, the unexpected, enthusiasm, passion and affection for their practice. Read (2015) suggests that an open, creative mind-set depends on frameworks and stimuli that encourage learners to explore, experiment and play with ideas. We believe that the YL teacher’s attitude is an essential component in the creation of an atmosphere of mutual respect that values divergent views. To get inspiration for injecting creativity and play into your YL classroom, see for example this blog post on using puppets with primary and early years by Valeria Franca. Your professional development cannot be managed by others, it is a personal undertaking. Alfaki (2014) maintains that, “In the modern and ever-changing workplace, professional development is key to career longevity. Professional development is about keeping one’s skills and one’s career fresh and on top of the game.” However relevant this quote may be, consistent and continuous professional development opportunities in YL ELT are not as frequent as they should be. Teachers of young learners have a huge responsibility in their hands, helping future generations to communicate in a foreign language while developing their self-esteem, their 21st century skills and their identities. Hence the ever urgent need to invest heavily in the knowledge, awareness, skills and attitude that can shape them into even more effective educators. The world will never stop innovating which has a direct link to the way children behave and learn. It is our responsibility to try to keep up with the changes to be better equipped to deal with new challenges and keep achieving our goals as educators. We can either resist change and cling to our ‘old beliefs’ or embrace new paths that can lead us to more responsible and serious teaching, and to an extremely rewarding experience in YL ELT. So… let’s promote that change. Learn more about this particular framework for YL CDP by viewing Vinnie’s YLTSIG webinar on the same topic. Alfaki, I (2014) Professional Development in English Language Teaching: A Teachers’ View. In British Journal of Education. Ellis, G. & Ibrahim, N. (2015) Teaching children how to learn. Delta Publishing. Herold, B (2016) Technology in Education: An Overview. In Education Week. Freeman, D. (1989) Teacher Training Development, and Decision-Making: A Model of Teaching and Related Strategies for Language Teacher Education. In TESOL Quarterly. Stepanek, L. (2015) Creativity in the English language classroom: A creative approach to language teaching: a way to recognise, encourage and appreciate students’ contributions to language classes. In TeachingEnglish, British Council. Read, C (2015) Creativity in the English language classroom: Seven pillars of creativity in primary ELT. In TeachingEnglish, British Council.